for March 21st are Joyful. faith in God. He trusted God. Lady of Fatima in the Americas. faith and trust in God. if we want to get there. who love and serve God. our knowing and loving capacity. 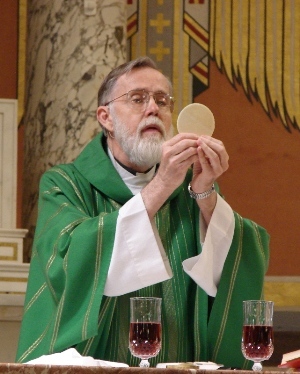 the Eucharist and the scriptures. must do to have eternal happiness. us grace to help us follow Him. His love letters in the Blue Books. we must obey God's plan. and wanting us to be loving. Satan said "I will not serve." against God – to ask for forgiveness. "nobody can be over them"
This violates the first commandment. us and what we do. October 3, 1993 Chicago Marian Conference 11:30a.m. Jesus: I am your Savior, Son of the Living God. I come to you that you might have life, not as the world gives you life, but My life which is life eternal. I carved you from My special carving and made you little less than an angel. I love you and cherish all the moments when you, My special child, come to sit with Me. I wait here and I hope you will choose to come, but I never force you. Your will is totally free and I give it to you because of My love and the will of the Father. I inform you in numerous ways. You do not have to guess and wonder. Come be with Me in this silence and all you need to know will be told to you. Your life is unfolding as a beautiful rose. Each petal falls and you plant My odors about as I so desire. I make your life full and sure as you trust in Me. No need for worrying, My little flower. My ways give you freedom if you listen to your heart. I am a personal God and you know Me as giving you fullness and life. You know there is some magnetism to Me and the way you crave to be part of Me. This is the work of the one, true God Who created you with a thirst that can only be quenched by Me. All roads that lead to Me give you fullness, worth, peace and joy, not as the world thinks, but as you yourself know true peace and joy. When I really touch you, you do not remain the same. I shed My Blood for you that you will have the life only I can give. What friend in this world would die for you? You, My child, were worth My dying for. I came that you will have life eternal and the gift I give is My Precious Blood for your sins. Come to Me in trouble and when you are bowed down. Come to Me in joy. Come to Me every day that you live and I will give you all you need. Seek to know Me more and more. Knowledge of Me, being with Me, are the only way to perfect peace. They lead to eternal life. I have a divine plan for you. I created you with special gifts and talents to be used to do My work. They are not for your own self-promotion. You, My child, are nothing except as I created you. Why try to promote yourself? It is none of your own doing. I gave you the talents you are using. You had nothing to do with it. These talents were given to you to do My work. To use these talents to make yourself feel better than your brother is indeed a sin. You must realize they are loaned to you to work for Me. As you give someone a car, or loan them a place to stay, I loan you your talents to use to work for Me. If you do not work for Me and use them to make yourself better than your brother, you are offending Me. Likewise, if I give you talents and you do not use them because you think you are not as good as your brother, you are not being thankful to Me for My gifts to you. You are not using My gifts and that offends Me greatly. Each person was created by Me to do My work. Each person has all he needs to do My work. To be envious of others is fruitless. They have their job. You have yours. You are not supposed to do their work. That is why you were not given their talents. Do your own work. Don't be envious of your brothers. Don't hide your talents. You did not earn them. I gave you your talents. You must sing because I will it. Others must do as I will them to do. It displeases Me to give you a gift and watch you hide it and make light of it. I give the gift. You must use all your gifts. They were given to you to do My work. Your brother has his gifts. Be grateful for your brother and he should be for you. You are all chosen by Me for a special mission. You know what to do. It feels right. I plant little seeds in your heart and all you do that is for you in the end feels right. You are not to be doing your brother's work or he yours. Talk to Me that you might know just what your work is and do it. Do not hide your talents. Praise your God Who gave you these talents. Embrace and use them. This is not pride. This is My plan. I love you. I give to each of you, My precious children, as a mother who buys special Christmas gifts for each child. To buy gifts all the same for all your children is not to respect their specialness, their individuality. Oh, I love you, little ones, so much. Please come to Me. I am so good and I wait to be with you and share My love with you. Come now. This is your top priority. All else will work when you come to Me first. I love you. You are My chosen children. Come and be filled and I make your loads light and I fill you with the Spirit of Salvation. All roads that lead to Me are the right roads. Praise Me for I am good and I love you, little dear ones. We are given a call by God. R. God calls us to be holy! 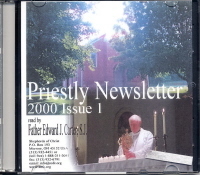 From the Priestly Newsletter Book III by Fr. Edward Carter, S.J. "Now, how will this mystical reproduction be brought about in souls? In the same way in which Jesus was brought into the world, for God gives a wonderful mark of unity to all His works. Divine acts have a wealth of variety because they are the work of omnipotence; nevertheless, a most perfect unity always shines forth from them because they are the fruit of wisdom; and this divine contrast of unity and variety stamps the works of God with sublime and unutterable beauty. "That is the way He is reproduced in souls. He is always the fruit of heaven and earth. "Two artisans must concur in the work that is at once God’s masterpiece and humanity’s supreme product: the Holy Spirit and the most holy Virgin Mary. Two sanctifiers are necessary to souls, the Holy Spirit and the Virgin Mary, for they are the only ones who can reproduce Christ. 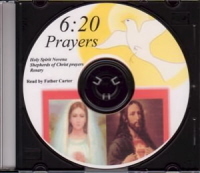 "Undoubtedly, the Holy Spirit and the Virgin Mary sanctify us in different ways. The first is the Sanctifier by essence; because He is God, who is infinite sanctity; because He is the personal Love that completes, so to speak, the sanctity of God, consummating His life and His unity, and it belongs to Him to communicate to souls the mystery of that sanctity. The Virgin Mary, for her part, is the co-operator, the indispensable instrument in and by God’s design. From Mary’s maternal relation to the human body of Christ is derived her relation to His Mystical Body which is being formed through all the centuries until the end of time, when it will be lifted up to the heavens, beautiful, splendid, complete, and glorious. 18. Archbishop Luis M. Martinez, The Sanctifier, op. cit. pp. 5-7. R. We are to belong to God. Seeing his mother and the disciple whom he loved standing near her, Jesus said to his mother, 'Woman, this is your son.' Then to the disciple he said, 'This is your mother.' And from that hour the disciple took her into his home.